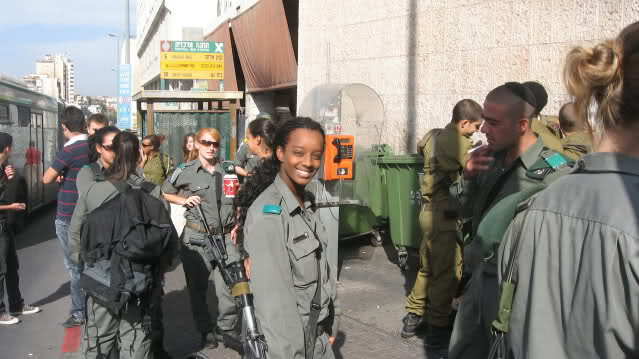 One of the unique aspects of Israeli society is the fact that most women serve in the military. 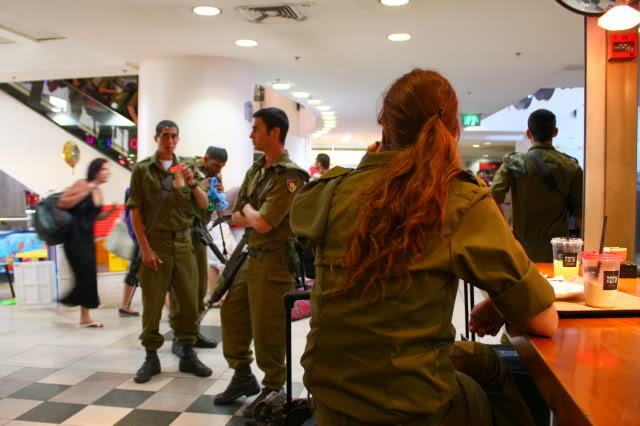 Israel is the only country in the world with a mandatory military service requirement for women. 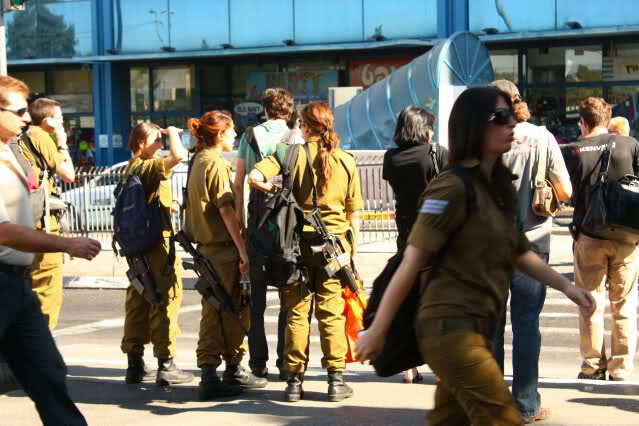 Female conscription is the law in Israel for all women aged 18 – 26. Women may be exempted if they are married, pregnant, or are mothers. A woman may also chose not to serve if she feels it conflicts with her religious observance. Most women who choose this option spend these years as volunteers in hospitals, old age centers, with needy children or other worthy causes. Everyone serves. The desire to serve is as strong among the girls as it is among the boys. From their mid-teen years the girls are already experts in military lingo and culture. They know what each cap and barrette signify, they know what different colored uniforms and boots mean. They know all about the different units and what it takes to get into each. The live the military culture and want to serve their country and contribute to it's safety and well being. The boys' status in their eyes is often linked to his position in the military. You could be out on the town on a Saturday night and you will see beautiful young women hanging out, with M-16 rifles slung over their shoulders. They are home from the army for the weekend. 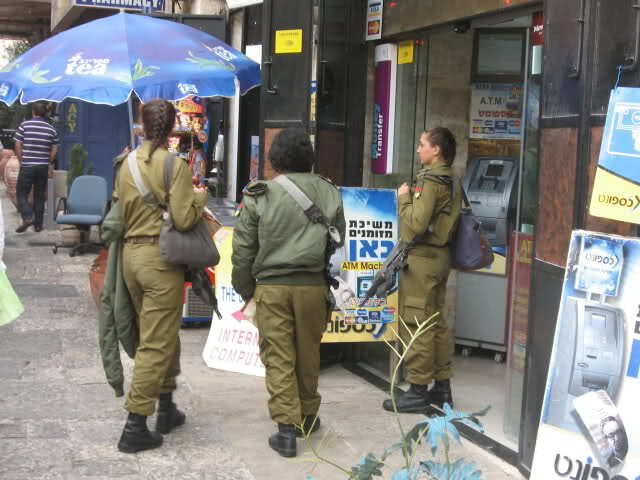 Women have been part of the Israeli military since before the founding of the State. In the Warsaw ghetto, in the partisan units fighting the Nazis, and in the pre-State underground freedom fighting militia's, women were active members. Many proved themselves under fire. Women were active participants in Israel's 1948 war for independence. At some point during the war it was decided that women would no longer participate in battle but would fulfill other roles. Women no longer participate in front line combat, but they train for it, and teach it to recruits. 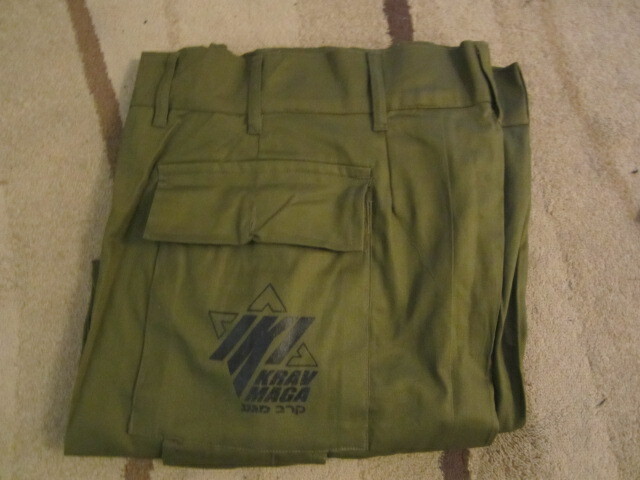 Many women have the status of "Kravi", or "Combat troops". The Women's Corps was founded on May 16, 1948. 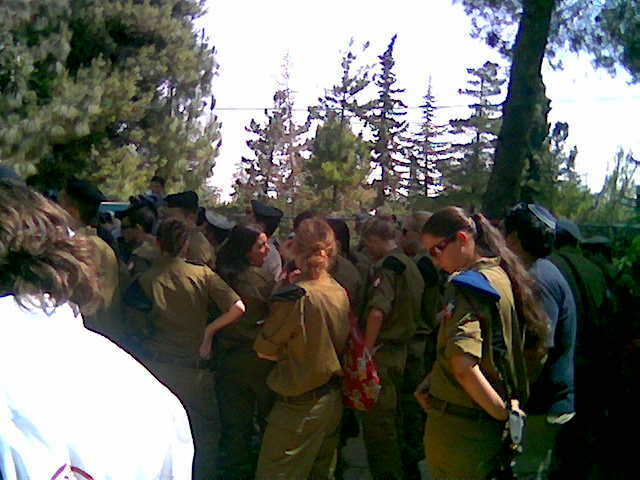 Within a year it was decided that they would serve for the most part within male units but would still be part of the Women's Corps which would act as a professional support system for women in all branches of the IDF. 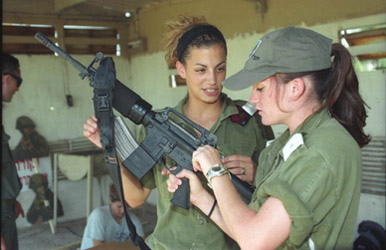 Women serve in support and combat support roles in the IDF, recently they have been allowed additional options but they still do not serve in active combat. Around the world there has been some discussion about whether or not women should serve in active front-line combat. 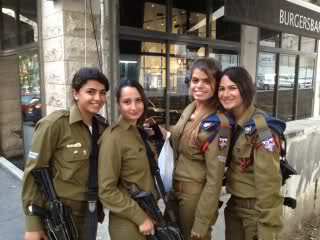 In Israel it is clear that despite the vast contribution of women in the military, active combat is not an option. This decision is based on the physical and biological differences between men and women but also for moral reasons. As Michal, a combat fitness instructor in the IDF, says, "No one wants to even think of the possibility of an Israeli girl falling into the hands of the enemy." Our history is already filled with too many such stories of atrocities. The Israeli military has always combined the practically of combat with the morality of our Jewish way of life. For political reasons women's groups have tried to break down barriers but the simple fact is that physically women are not capable of doing the job men do. There was an attempt to integrate women in the Search and Rescue units but it was discovered that a great deal of physical damage was caused to them as a result of the increased effort. Even the girls who were integrated into the anti-aircraft unit suffered great physical damage during the long hikes. They suffered more than 30% more stress factors than the boys. 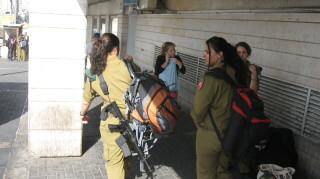 Women serve in many capacities in the IDF such as intelligence, the Border Police, maintenance, supplies, secretarial duties, as well as serving in a variety of technical and administrative support roles. 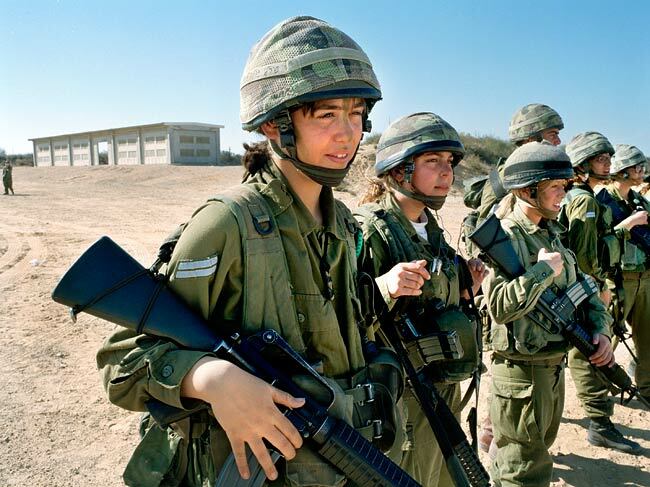 Over the course of the years, the number of military occupational specialties open to women in the IDF has expanded and today most jobs are open to women. Women are limited by nothing but their own ability. Women have long served in technological positions, intelligence, operations and training. 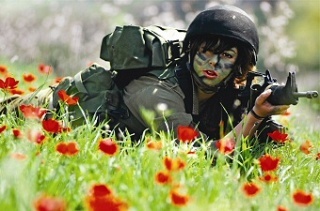 Likewise, women can be found servicing IDF computerized systems, working as computer programmers, smart weapons systems operators and electronics technicians. There is also a women' soldiers-teachers unit, which teaches new immigrants and children in developing regions. 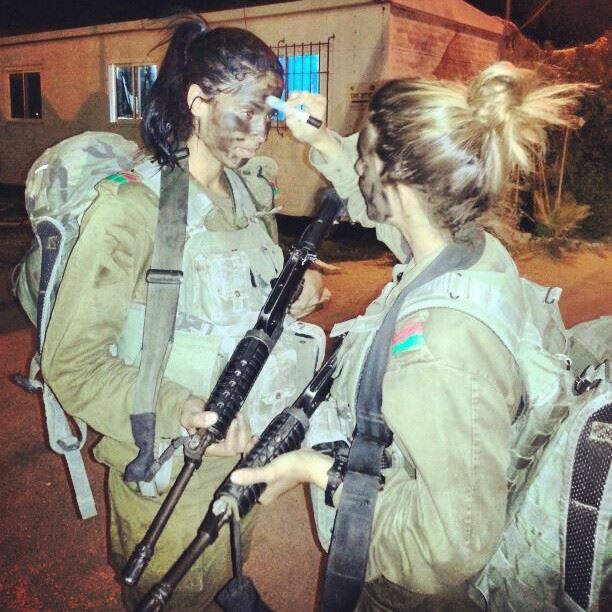 The bottom line is that in the Israeli Defense Forces, each soldier, male or female, will be assigned to the task where their contribution will be the greatest. The whole is greater than the sum of its parts, the nation is more important then the preferences of any individual soldier. I have found that most soldiers are happy knowing that they are contributing their maximum. There is always an attempt to satisfy the ambitions and interests of each soldier but ultimately the needs of the army take precedence. In the 1990's the role of the Women Corps began to change. 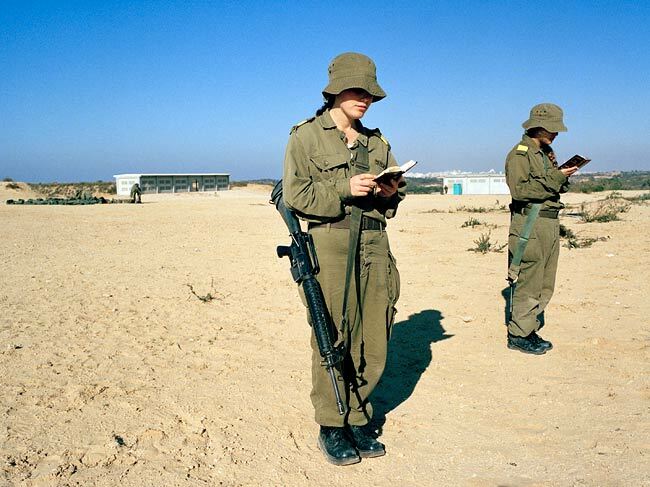 By 2001 the IDF abolished the Women' s Corps. Pressures from feminist lobbies caused the army to appoint an "adviser for women's affairs". This was actually the former commander of the Women's Corps. 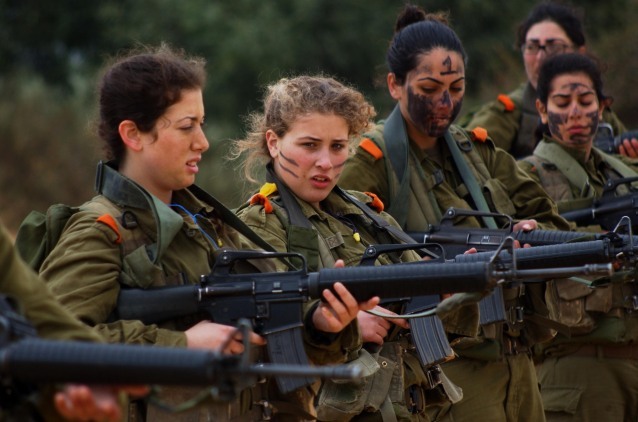 Women currently perform compulsory military service in the IDF for a period of one year and nine months as compared with the three years required of male conscripts. Some serve for longer, based on their position in the military. All women have the opportunity to participate in an officer's course, assuming they have met all the required criteria. Becoming an officer is voluntary, and those who successfully complete the officer's course must sign up for an additional nine months of career service. Religious women have a choice of doing national service or military service. National service includes a wide range of volunteer activities such as working in hospitals or helping disadvantaged kids. Some women feel a calling to serve Israel through military service while others answer the call by the myriad of volunteer opportunities. Either way the years 18 - 20, and possibly longer, are devoted to serving the nation. Come to Israel, meet the locals, immerse yourself in Krav Maga. Tour and Train offers intensive Krav Maga training combined with touring sites of historical importance, meeting the locals and getting a real feel for Israeli culture. It is an experience like no other. Your Krav Maga skills and your knowledge of the roots of this unique fighting system will drastically improve in a short period of time. 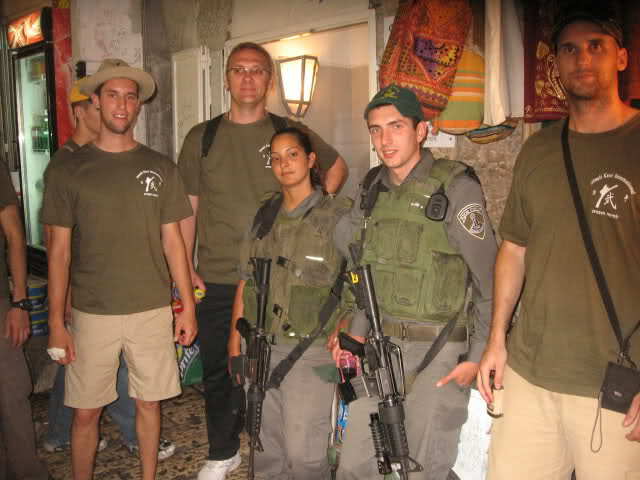 IKI (Israeli Krav International) with IDF (Israel Defense Force), Old City, Jerusalem. 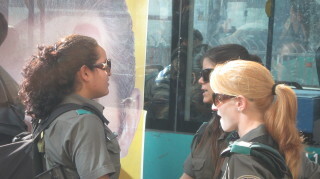 Male and female members of the Boarder Police serving side by side, keeping Jerusalem safe for all.